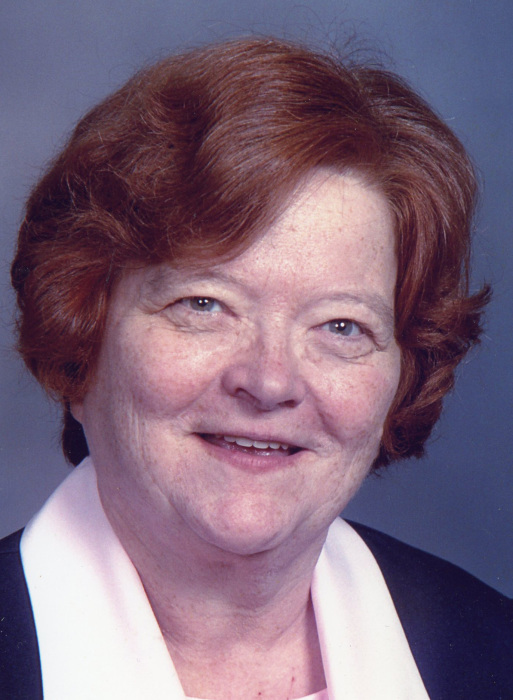 Kathleen V. Larson went home to her God and Savior on Monday, January 21, 2019. Her Funeral service will be held in the Chester United Methodist Church at 11:00 a.m. on Saturday, January 26, 2019,There will be visitation for two hours prior to the service. Kathy was born February 6, 1948 to Duane A. and Vivian M. (Jensen) Larson in Chester, SD. She graduated from Chester High School in 1966. She attended Augustana College, Sioux Falls College, and then, Nettleton,graduating in 1970 as a stenographer. After school, Kathy lived and worked in Sioux Falls and was a long-time volunteer at First United Methodist Church. She served in the Delker Memorial Library in Chester during its Saturday hours for a number of years, sharing her love of reading with children and adults alike. Kathy was well versed in scripture and history. She found great joy in gospel music and often sang for church services. Kathy loved her family and looked forward to the reunion with her parents and loved ones who had gone on before. She was a member of the First United Methodist Church in Sioux Falls and the Chester United Methodist Church, the Jubilant Singers, and the Chester American Legion Auxiliary. Kathy leaves behind extended family and many friends across the country. In lieu of flowers, memorials may be directed to Chester United Methodist Church or a charity near to your heart.